There are so many different styles of wedding albums. From the tradional style with printed photographs stuck in to the coffiee table style designs. Then there are our jaw-droppingly beautiful leather bound, crystal acrylic covered Premium Photobooks.They put a stylish, modern twist on the traditional photobook and really have to be seen and felt to be understood. Our Premium Photobooks include a FREE professional design service by skilled designers to create stunning storybooks from your photographs, finished by expert printing and hand-binding of your albums. Choose from eight sizes of Premium Photobooks - all with pages that lay flat to create stunning edge-to-edge panoramic spreads. After our Brides & Grooms have received their photographs on DVD they can begin the not so easy task of choosing which photographs to include in their album, but there's no rush! One couple have only just ordered their Premium PhotoBook, nearly 2 years after their wedding! Once chosen we shall get your photographs to the designers. You can chose from 3 design styles and also get to approve the design and easily request changes if you wish before printing. The printing of our Premium PhotoBooks is no ordinary feat. Printing, laminating and hand-binding are all parts of a 23 stage process that ensures the hard leather bound Photobooks are as handsome as they are durable. Your Premium Photobook design is printed onto professional silver halide photo paper using state-of-the-art digital printing press. Thin sheets of PVC are then inserted to ensure the finished pages are rigid and infinitely more robust than lower quality photo books. This also means that when your Photobook is open the pages lie flat - the design is displayed across the entire spread, creating a stunning, edge-to-edge panoramic effect. Finally, your front and back photos are mounted onto the covers, then sealed underneath a clear crystal acrylic to provide protection and an ultra-stylish finish. Please email for more info on the various design styles and our prices. Back to our main WEDDING PAGE. B E A U TIFUL!!!! We were really impressed with how you guys worked. It was great to meet a photographer who isn't bossy, knows what they are doing and who is interesting. Justin krause photography captured our special day and we couldn't have been happier with the memories they created. They brought to life our ideas and created some fantastic pictures. They were so kind and helpful even at such short notice!. They made ourselves and the wedding guests feel totally relaxed and it was great fun. Cant thank them enough. Love the Photos! Thankyou ! OMG! LOVE the pics. They are brilliant / hilarious / beautiful! We will definitely have the full CD of images! You're an amazing photographer!!!! when I get married (one day.....) I'll call you and you'll come to Spain! OMG!! Our Wedding Photographs are AMAZING ! Thanks again for your time on friday at our Wedding. You and Emily were amazing! Everyone commented on how good you were! We have had 2 sittings of our Watch Them Grow Package and have found Justin & Emily to be great with kids. The Pictures of Imogen have been superb! 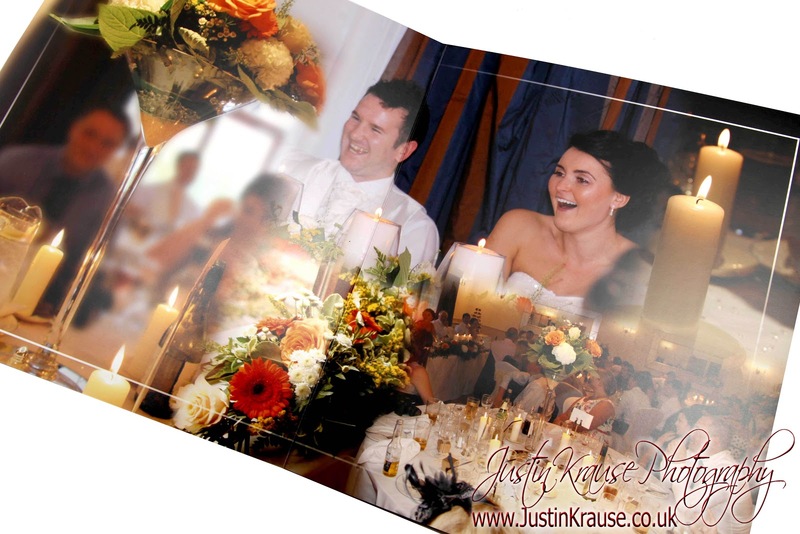 We would recommend Justin Krause Photograophy to anyone! The photos are amazing! Sooo many cute photos! awesome shoots for the Band Allure In Grace ! cheers again dude! Really enjoyable experience for all of us. My wife and I didn't want to be in any of the photographs as just wanted some pics of our two girls!!! We were slowly convinced. Really glad we did, got some really good family shots. We were worried the girls would not want to be shot, they can be very shy at times, but Justin introduced a rocking horse, puzzles, funny hats and they were away, shouting, giggling having a great time. I would highly recommend the experience! "Just recieved our wedding photos from Justin Krause Photography and we nearly cried! AMAZING photos so so so happy!!!!" "Oh my goodness, the photos are so fantastic!!!!! I am getting all these emails from my family saying how terrific they are. Thank you sooooo much. We are so happy with all the photos! Thanks again for giving us truly wonderful memories of our fantastic day." The photo's you and Emily took of our wedding are amazing! Thank you so much to both of you, they are beautiful! I didn't even realise photos could be that good. Everytime I look at them I remember just how much I loved that day. Friendly relaxed photo session and fabulous photos - so good we got the lot. Now all I need is the wall space to hang them all! Having had several professional photo sessions for my growing children I also noted that Justin also includes professional touch ups on the photos that you usually only get from very expensive studios - true value for money! "The photos you and Emily took of Debbie and Jonny’s wedding are absolutely fantastic! You are both very talented." wedding photos are really excellent! Absolutly LOVE the Pics, had a great time, friendly and relaxed atmosphere = Brilliant pictures - sooo many to choose from! Our photos were amazing and from start to finish Justin and Emily were the nicest people to deal with. So happy we chose them for our wedding. Thanks for the fab photos Mr Krause! They are brilliant and loved every single one of the shots that you took. ;-) Very professional and i loved your work! The make up and the hair was fab too....loved it! Had a brilliant few hours so thanks. Had a good giggle too. Will recommend you to everyone. The photoshoot was lots of fun and we all really enjoyed it. The kids were telling their friends all about it. A massive Thankyou to you both for capturing the most beautiful photos of our wedding. The whole family said how great you were especially with the children and how fun the photos have turned out! We will be recommending you to everyone! A massive thank you for your professionalism and humour whilst shooting our Wedding! You both made us feel so as ease and made having photo's great fun! Brilliant Photoshoot! You're a natural! We and the kids really enjoyed it!! Will be telling everyone about you! "Yay our Photos were Awesome !!! Thankyou !" A massive thank you for your professionalism and humour on Saturday! You both made us feel so as ease and made having photo's great fun! Just want to say a MASSIVE thankyou! You didn't stop working hard throughout the whole day of our Wedding in Oxford! The photos are incredible and really captured the moments! THANKYOU so much! I have been a member of your (Facebook) group for a while now, your photos are awesome!! Our Photos are amazing. I LOVE them! Thankyou very much. Really love the pics!!!! Thankyou so much! We have spent the past few days looking (and looking again) at our wedding photo's thank you for capturing sooo many special moments of our special day!!!! We would highly recommend Justin Krause Photography!!!! Thank you guys!